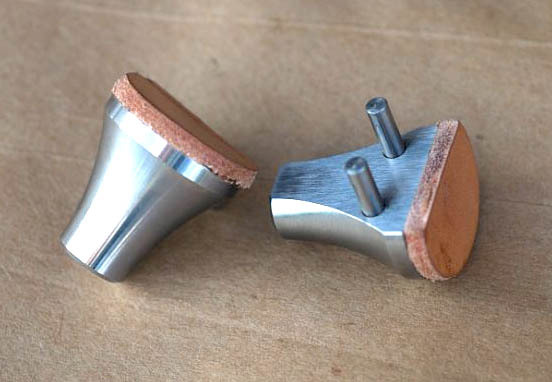 Above - Soft wood jaws on the turntable vise. 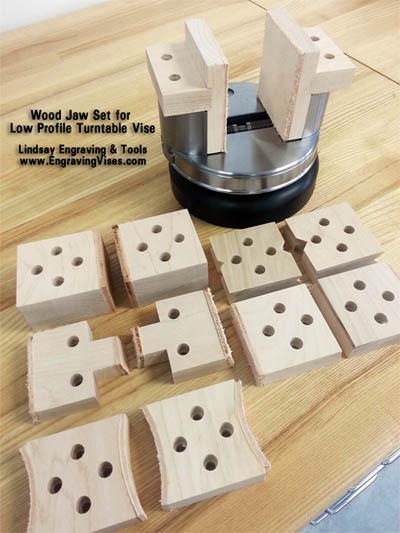 The same wood jaws will fit the smaller of the two bolt patterns on the 90lb Titan Vise. 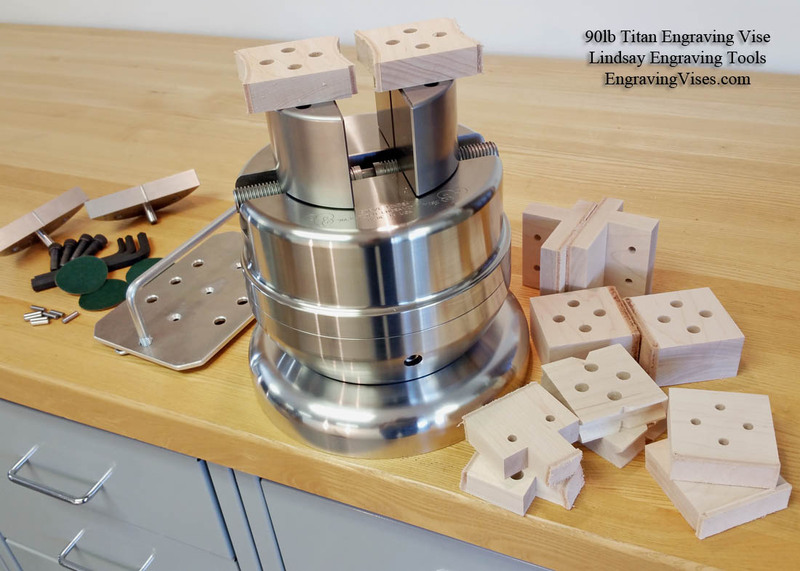 the 90lb Titan vise. Some are leather faced. The jaws are multi-faced so that they can be rotated 180 degrees or in the case of the ones with four mounting holes rotated every 90 degrees. Six sets of jaws with 19 sets of faces. Place these in vise pin plates to hold rings or other items. They fit the pin plates on the Low Profile vise, later Goliath vises and PalmControl vises.